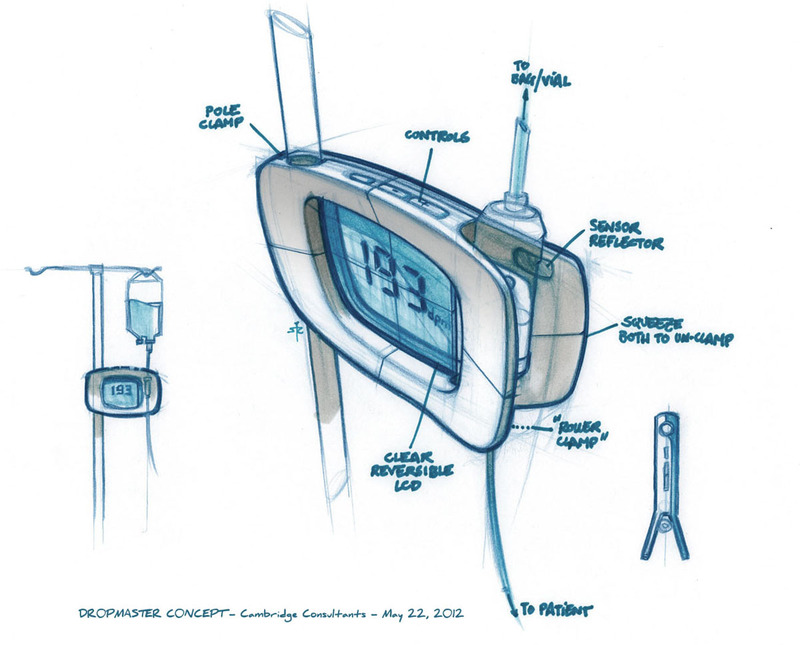 The idea for this concept came while working on IFUs (Instructions For Use) for a drug dispensed by a gravity-fed intravenous line (IV). I realized that nurses had to do complicated calculations to turn a dose in milliliters over time into drops per minute, and then set drop count visually while looking at their watch. The DropMaster concept , developped with Matt DeNardo using an optical sensor (tested using an Arduino board), is a clamp that mounts on any pole and that monitors the rate of drops in current drop chambers, while adjusting the roller clamp to ensure the right flow rate in real time. 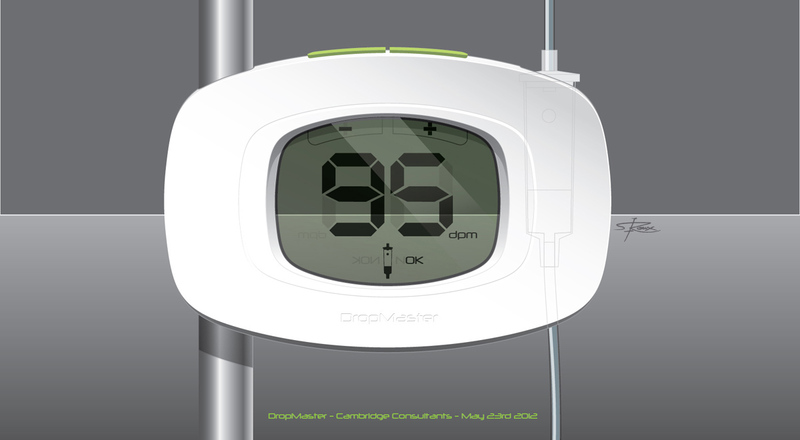 DropMaster’s transparent and symmetrical LCD screen allows the nurse to reverse the readout, ensuring the clamp can be read whichever bedside configuration it is in. DropMaster is in effect turning a gravity fed IV into a low-cost IV pump, available to all patients all the time.